We get you there quickly and hassle free. When you need a reliable ride, give us a call! Whether you need a taxi to get you to the airport or are simply visitors looking to get to an unfamiliar location, we can help you at Taxi Lincoln Airport Shuttle. Our goal is to get our customers where they need to be quickly and without any hassle. 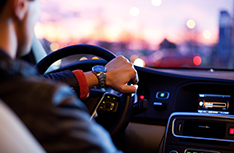 You can relax and unwind while we take care of all your transportation needs. You won’t have to worry about which route to take, dealing with traffic, or asking for directions. We’ll do everything for you at Taxi Lincoln Airport Shuttle. We’ve provided transportation services to the residents of Lincoln, CA for years and have established ourselves as one of our areas most reliable, professional and affordable taxi services. All of our drivers have years of experience and have the proper licenses to drive our taxis and town cars. They are familiar with all the major road ways and will always get you where you need to be on time. Other taxi companies tend to operate with shady business practices, often charging service fees for every minor thing or intentionally taking the longest route to make more money. At Taxi Lincoln Airport Shuttle, we adhere to a strict guideline of principles and values where we believe in providing our customers with fair and affordable service. You have our guarantee that we won't try to nickel and dime you like some other transportation companies. We guarantee that no other taxi company can match our customer service and competitive rates. Regardless of where you need to go, we’ll get you there quickly. 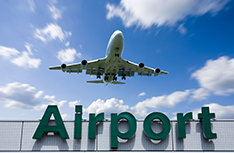 You can depend on us for all your transportation needs at Taxi Lincoln Airport Shuttle!